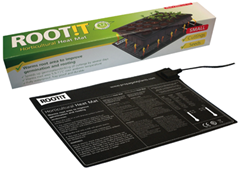 Root-it Heat mats are the ideal solution for keeping seedlings and cuttings at the optimum temperature for early development. Simply place the root-it heat mat underneath the bottom of your propagator and it will provide an even spread of heat to the bottom of your plants. With enough space for up to 450 seedlings or cuttings (depending on cube size) the X-Stream heated propagator is the ultimate choice for larger scale growers. 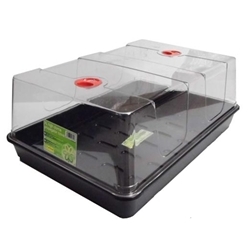 Propagators are a covered container you can fill with soil used for germinating or raising seedlings or cuttings. 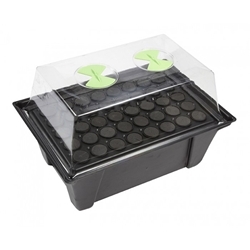 Propagators come in heated or unheated varieties depending on your preference. This piece of equipment acts as an incubator supporting your plants to sprout roots and form strong healthy foundations. 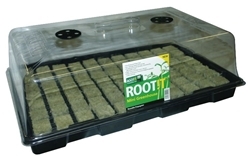 Propagators provide the perfect environment successful vigorous growth. 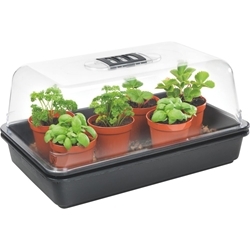 Depending on your budget we have different versions and sizes of propagators available.